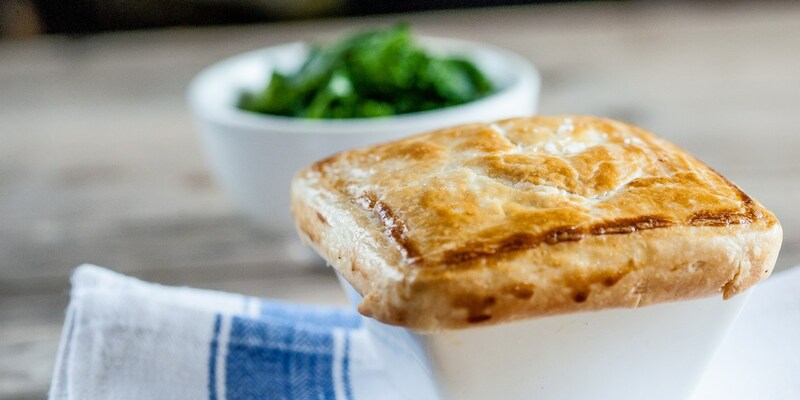 Whether savoury or sweet, pies are a cosy way to enjoy a variety of ingredients. Whether encased in flaky pastry or topped with magnificent mash, these pie recipes make satisfying, flavoursome comfort food. No other country does meat pies quite like Britain, and this is exemplified in many of the recipes shown here. Galton Blackiston's spicy spin on Shepherds pie is also a rendition of South African bobotie with its egg and cream topping. Paul Heathcote shares a brilliant beef and ale pie recipe that would be wonderfully warming on a chilly day. Fish pies are also deliciously popular and quite traditional, dating back to the time of Henry I's lamprey pies prepared by cooks every Christmas. The fish pie recipe from Tom Aikens contains a fabulous oceanic bounty, filled with salmon, sole and monkfish as well as scallops and mussels. Nathan Outlaw's cod and smoked haddock fish pie is a playful take on a classic by reinventing it as a canapé in small ramekins.